….just like Percy Ingles makes. To many people, well actually most people, Tottenham Cake and Percy Ingles means nothing, but work or live in the Eastend of London and you’ll know exactly what I’m talking about. I worked in Hackney, in London’s East end for over 10 years, and was lucky to regularly enjoy delights from Percy Ingles Bakery, from ‘down the Roman Road’….and wow did they have some yummy delights. Percy Ingles is a household name in Hackney, but step away from the Capital and few people will know what you’re talking about. 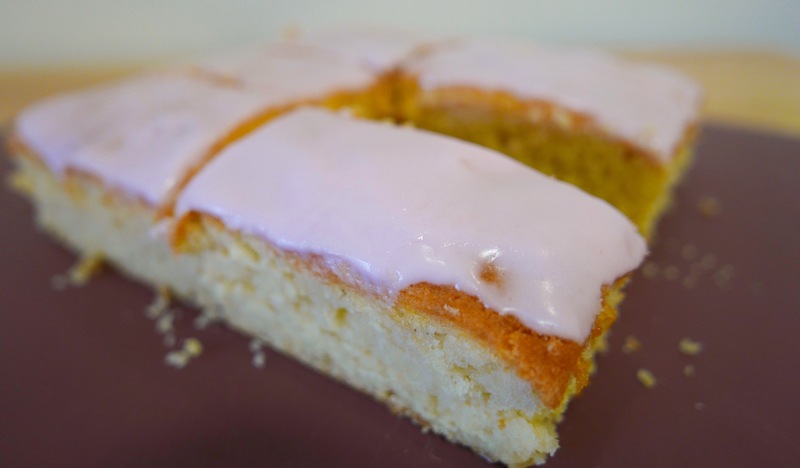 It is a family bakery with over 50 shops in London and makes a great classic Tottenham Cake. 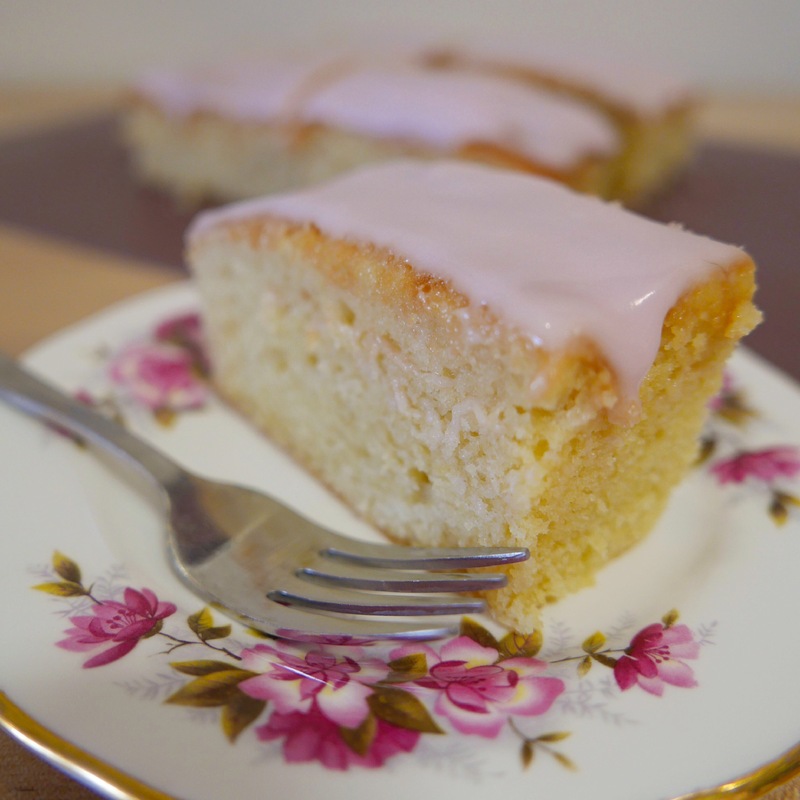 But what about Tottenham Cake – what is it, and why have you not heard of it? It even made an appearance on The Great British Bake Off, but still few people know what it is. I remember the first time I was bought a slice and it reminded me of cakes I used to eat as a child. It’s light, sweet sponge covered in bright pink glacé icing. Delve a bit deeper, and it has real history. It was first made in the late 1800’s by a Baker called Henry Chalkley, who was a Quaker. He baked it in long trays and cut it into cubes which were sold for 1 penny a slice – off cuts and dodgy looking slices were sold for half a penny. As a Quaker, Henry kept the cake simple but tasty. 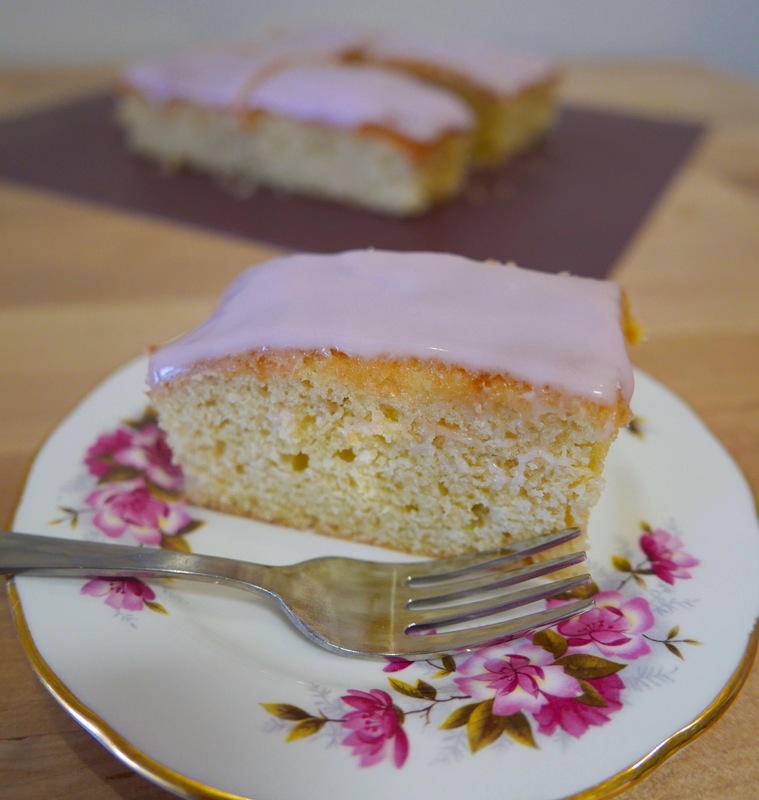 The pink icing was reportedly made from Mulberries that grew in the garden of The Tottenham Friends Meeting House. In 1901 Tottenham Hotspur’s won the FA Cup, and to celebrate children in the area were given a cube of cake for free…..now that’s my kind of celebration! Sadly Mulberries aren’t quite as easy to come by, and most of todays icing is made pink by colouring. But made well, it’s a cake that you just can’t resist….it’ll take you back to being 7 years old again. Since living in Hampshire, I haven’t been able to find any, so have had to go about making some of my own. I’ve done my research and found a few historic recipes. I’ve combined and tweaked them, to make what I hope is a great, classic Tottenham Cake. It’s slightly denser than a normal sponge, and is sweet and moist from the syrup that’s poured on it while warm. I used a high-concentrate, low sugar Summer Berry Squash for the icing, which gives it an extra fruity zing. Prepare a baking tin (approx 7″ square) by greasing and lining with parchment or grease-proof paper. Add the vanilla and one egg at a time and whisk until its thick and smooth. Sift together the flour and baking powder, and fold into the wet ingredients. Remove from the oven and set to one side. Mix together the icing sugar and water, until all the icing sugar has dissolved. 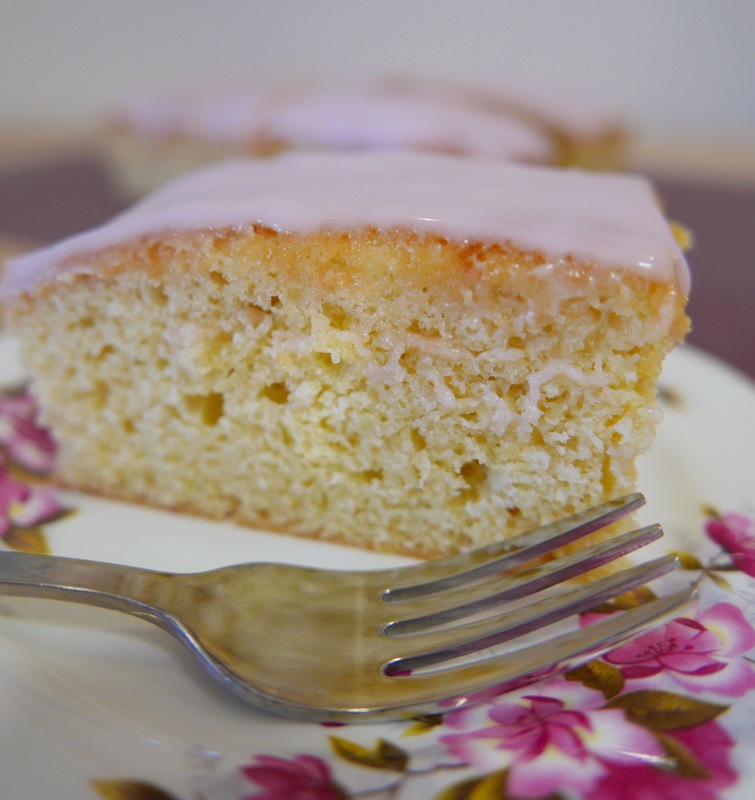 Before removing the cake from the tin, use a spoon the drizzle the icing sugar syrup all over the top of the warm cake. Carefully remove the cake from the tin and allow to cool on a wire rack. Once cooled, mix 1tbspn of the fruit squash and all icing sugar to make a thick glace icing. You want a thick pourable consistency, if it’s too thin it’ll run right off your cake, however if its too thick and doesn’t pour at all, add a little extra liquid until it does. Pour the icing onto the centre of the cake, and with a knife smooth to the sides. Allow to set for a few minutes before slicing and serving.